Artist's Choice saturated paints are non-toxic, water-based paints that dry to a brilliant matte finish. 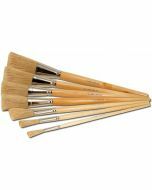 These paints are color pigment saturated and may be extended with water for beautiful pastel washes. 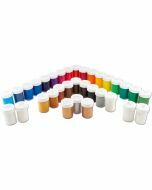 Their deep, pure and vibrant hues make them ideal for use in Theatre, Video, Television, Film, Exhibit, Fine Arts, Craft and Hobby applications. CoverageApproximately 350 feet² per gallon, depending on the porosity of the surface. Add up to a half-pint of water without effecting hiding. Up to 700 feet² per gallon is possible depending on desired effects and surfaces. TintingMix with White (7722), Double White (7723), or Sculptural Arts' Tough N' White Primer. TranslucencyMix 1:5, 1:10, 1:15 (Varnish:Water). 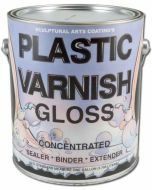 Thin with water, tints, or Sculptural Arts Coating's Plastic Varnish to desired consistency. 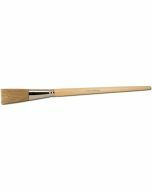 ApplicationArtist's Choice Saturated Paints may be brushed, sprayed, rolled or sponged on. Use straight out of the can or mix with water. Stir thoroughly. 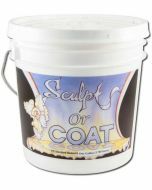 Average Dry TimeUnder normal conditions, dries in less than 1 hour to a flat finish. Low temperatures, high humidity, poor ventilation, may increase drying time. Use a shop or box fan to speed up drying time if needed. CAUTIONSUse adequate ventilation. Close container after each use. Do not apply when surface or air temperature is below 45F. Store between 50F - 100F. Do not take internally. Avoid breathing Spray mist. Keep from freezing. KEEP OUT OF REACH OF CHILDREN. 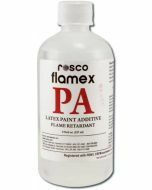 Do not mix this water-based paint with oil based paints, turpentine or mineral spirits. Directions are as complete as possible, but cannot encompass all conditions, applications, techniques and/or surfaces which are beyond our control. The user must determine the suitability of this product for his or her particular application(s) and accepts full responsibility of that determination and responsibility for any consequential damages should they arise. The Manufacturer and Seller make no warranties expressed or implied and accept no responsibility other than replacement of product should it prove to be defective.